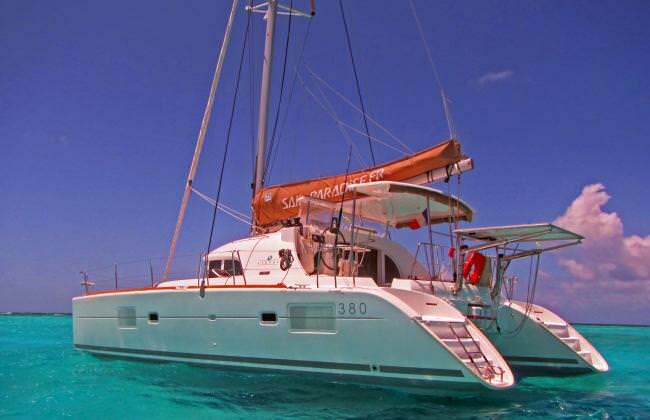 Sailing catamaran HARMONY, a brand, new Lagoon 380, is poised to launch guests on a Caribbean adventure. 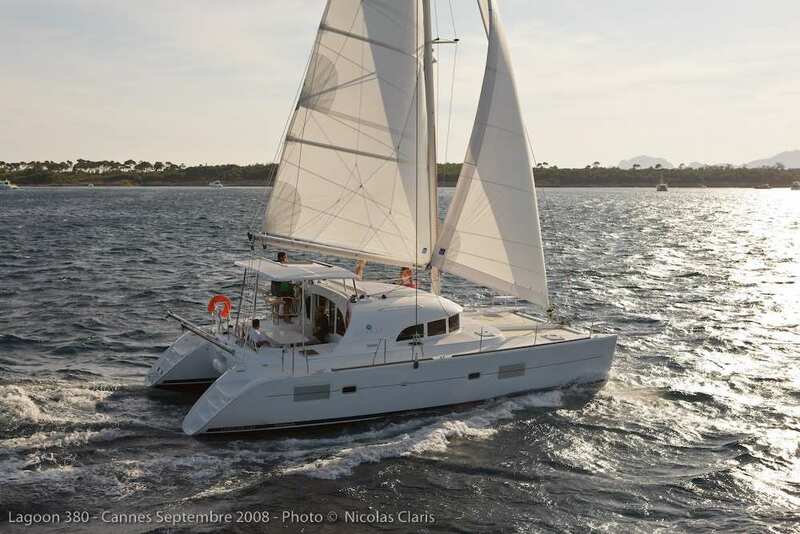 The original design brief of this superb model focused on the lifestyle of owners and guests, and considered how the modern cruising catamaran is used. 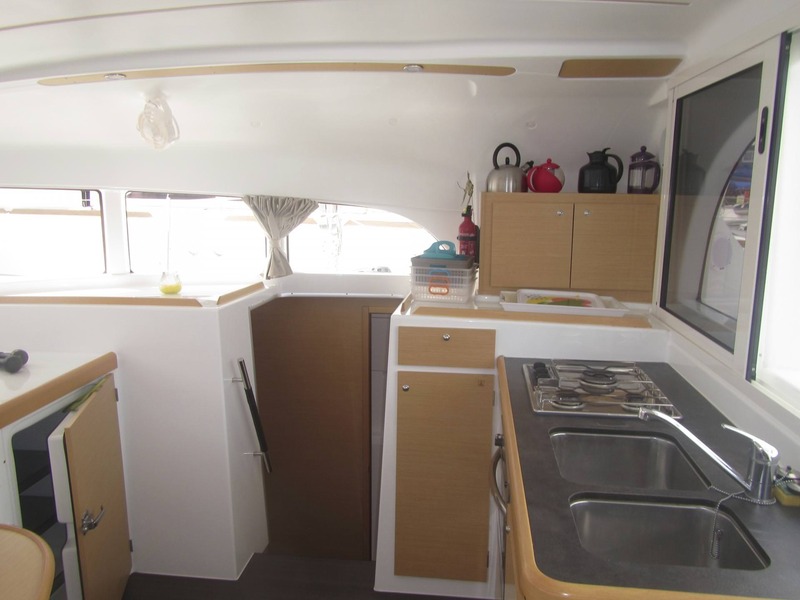 The successful result is a layout with open circulation, lots of daylight, excellent visibility, very good ventilation, safety of movement on deck, and a huge master cabin starboard with very spacious bathroom and shower. HARMONY is of the “Infinity range” which was the later model, with a slight upgrade on the specs. 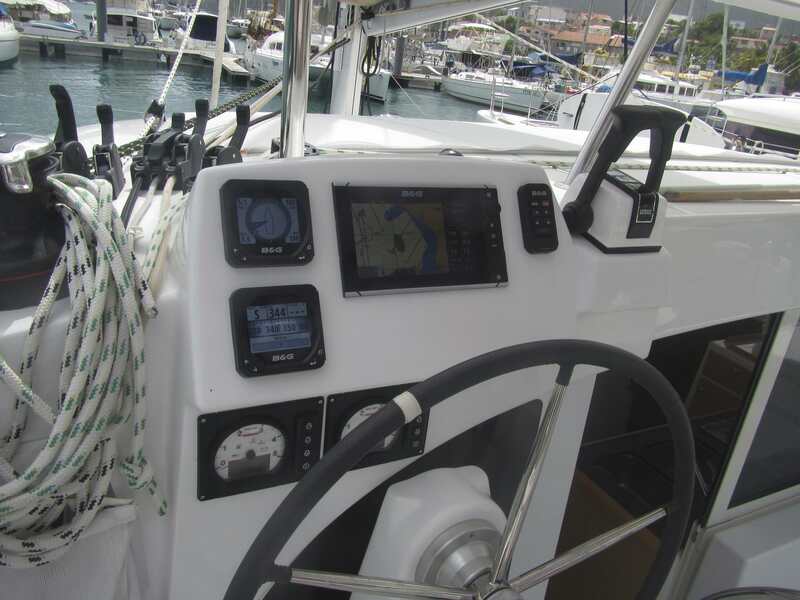 The yacht features a roomy, secure, enclosed cockpit area with a deep design that is good for safety. U-shape banquette seating and cockpit table fit six adults very comfortably. 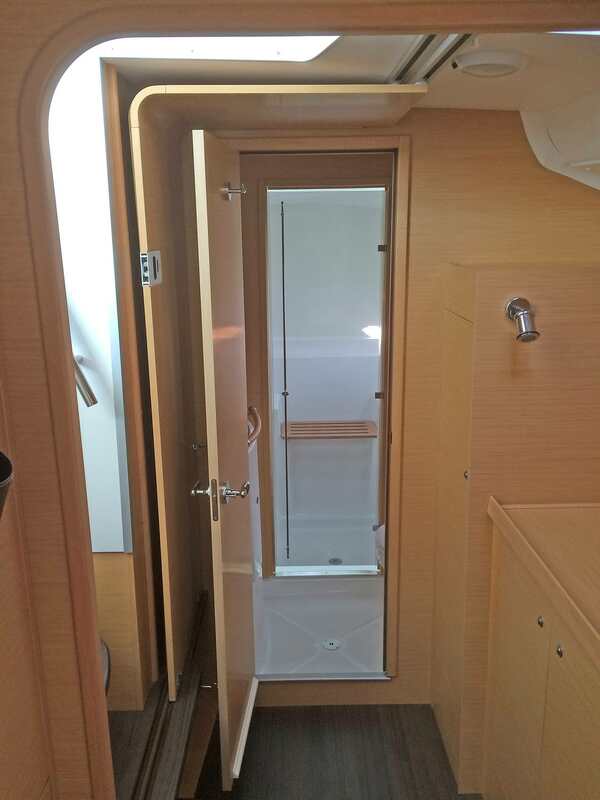 Dual sliding glass doors and pass-through window connect the cockpit to the galley and saloon. 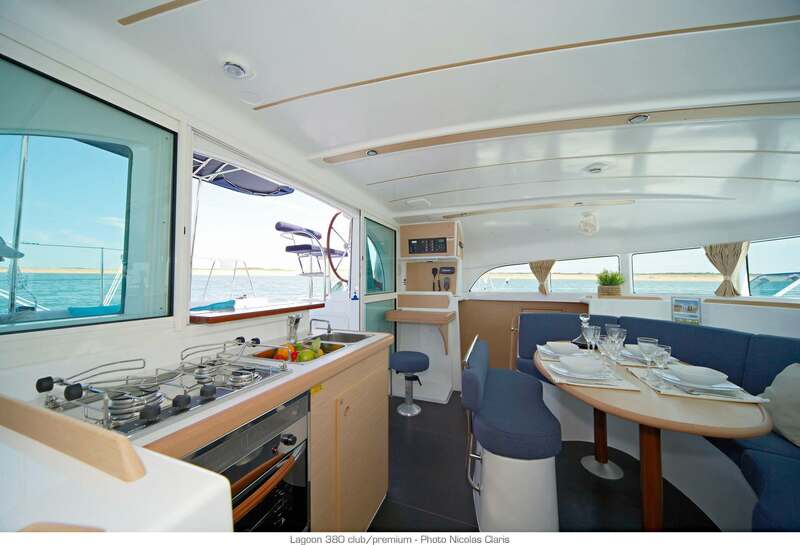 The galley position makes for efficient serving indoors or out and keeps the yacht cooler. The interior layout is simple and efficient, inviting and comfortable. A surround of large vertical windows flood the saloon and galley with daylight, provide 360-degree views, accommodate 67 of headroom, and create a greater sense of space inside. Guest cabins are also spacious with 64 of headroom. 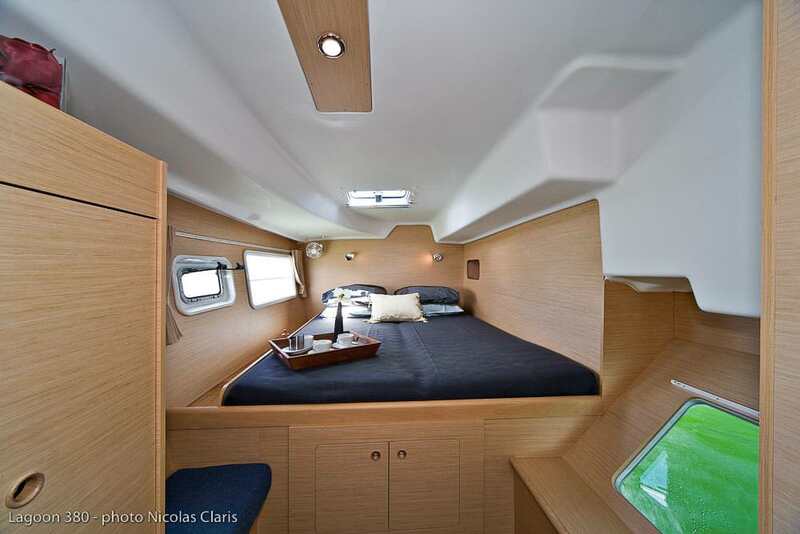 The master cabin in the starboard hull is of a size normally found on a much larger build. 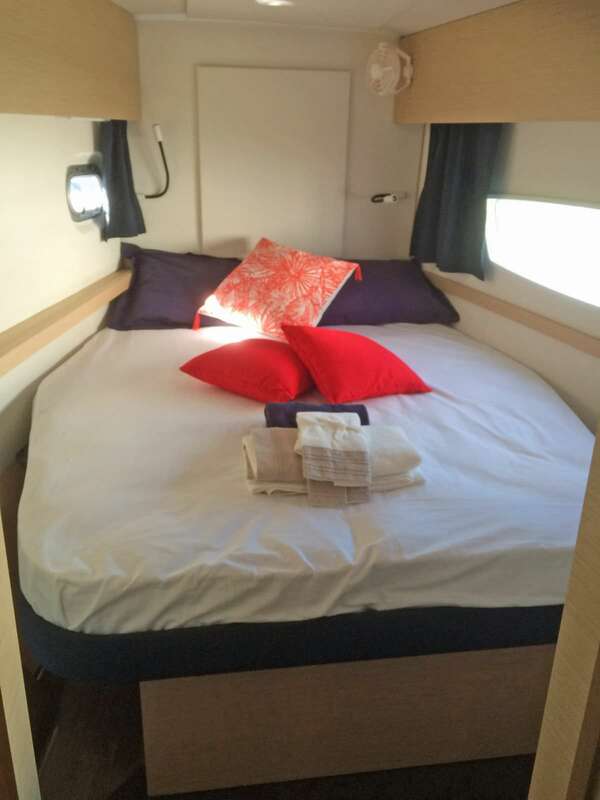 Cabin beds are very comfortable and just slightly shorter in length than queen size. 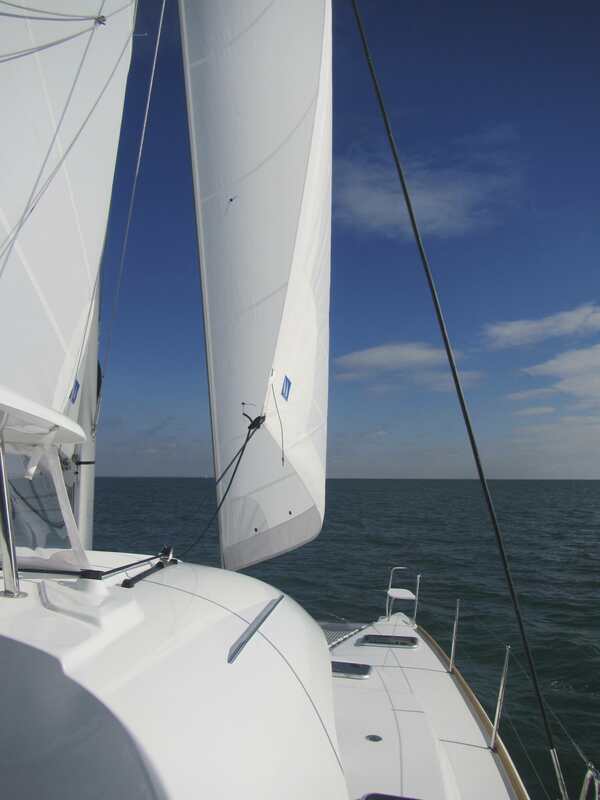 HARMONY has numerous opening hatches for excellent ventilation of the cabins and saloon. On deck, guests move around easily and safely thanks to wide side decks and a rigid walkway between the trampolines. Transom platform access from the deck to the sea and dinghy is down safe, non-skid steps. Guests can step off Harmony right into one of her kayaks, ease into the sea for a refreshing swim, or explore on the stand-up paddle board. 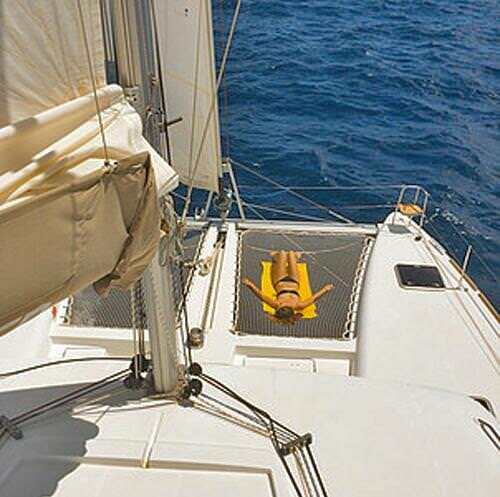 HARMONY is a yacht in which guests feel safe, well equipped, and extremely comfortable. 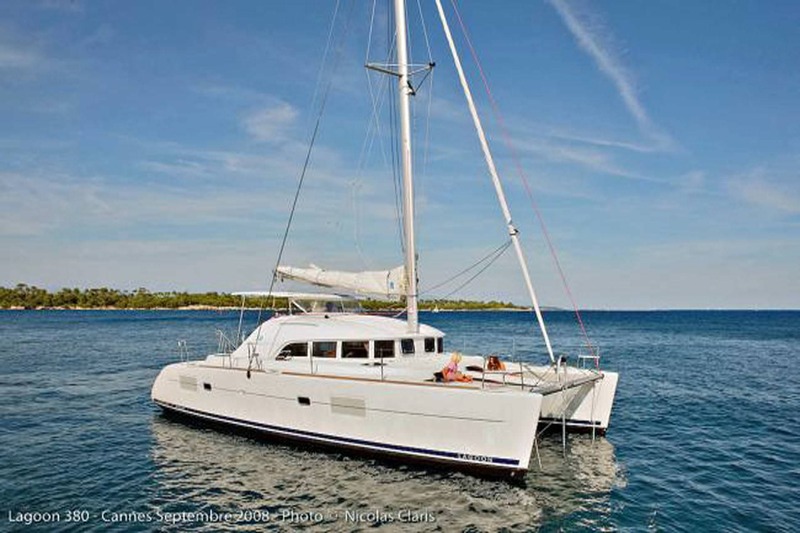 Shes easy to maneuver, with a double helm seat that beckons guests to take a few sailing tips from the crew and try their hand at the wheel. 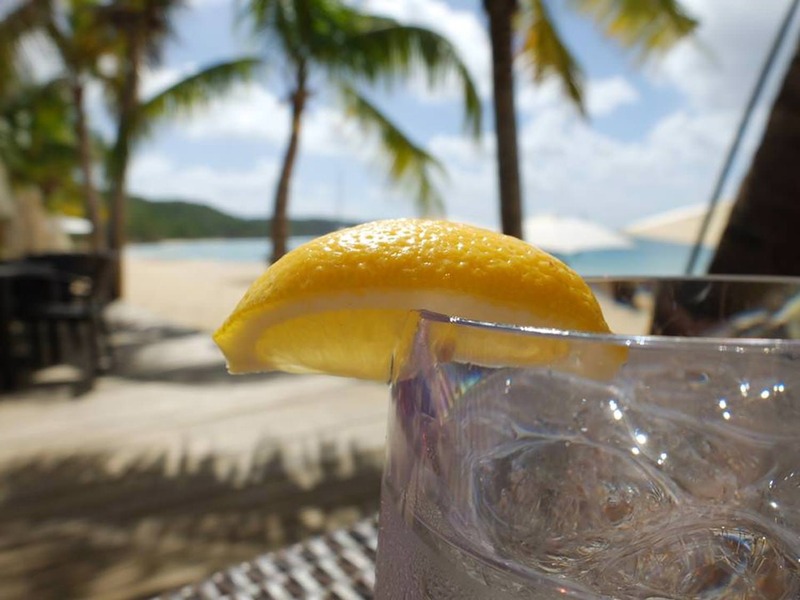 Or just relax, sip a tropical drink, and watch the scenery float by. 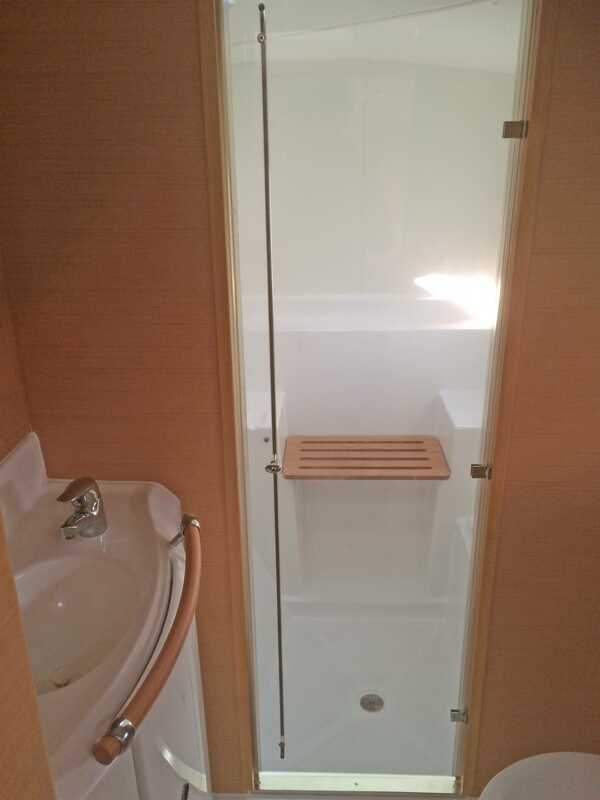 1 Double ensuite Cabin (5.3' x 6.6') starboard side, 1 Double Cabin port side which shares a mid ship bathroom with Port fwd cabin (crew). 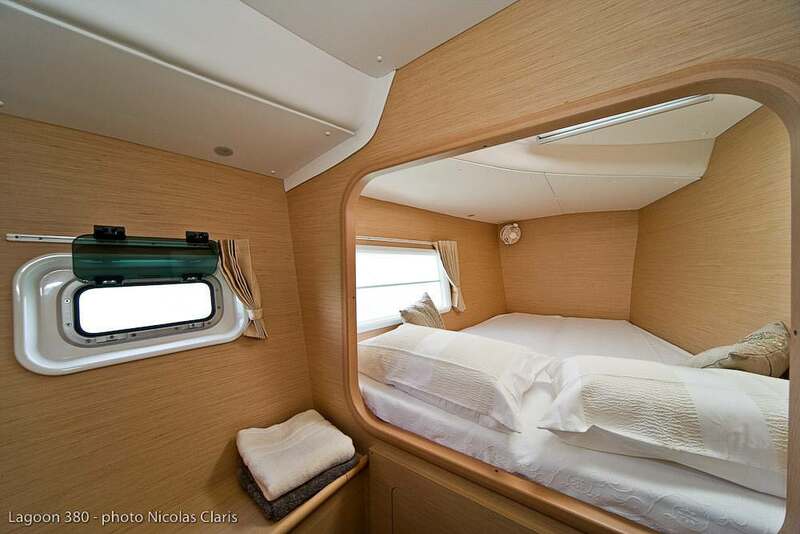 For 6 pax captain only charters the port fwd cabin is made available to guests, and the Captain sleeps in the forepeak. Bruno is married with four children and had a long career as as journalist in French newspapers. He recently retired as CEO of the second largest French newspaper Sud Ouest. 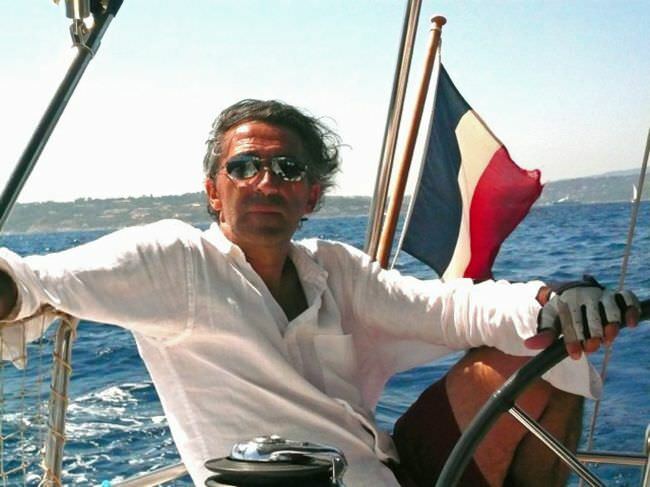 Bruno is the author of three books, one he co-authored with famous French sailor Philippe Poupon - obviously about sailing! 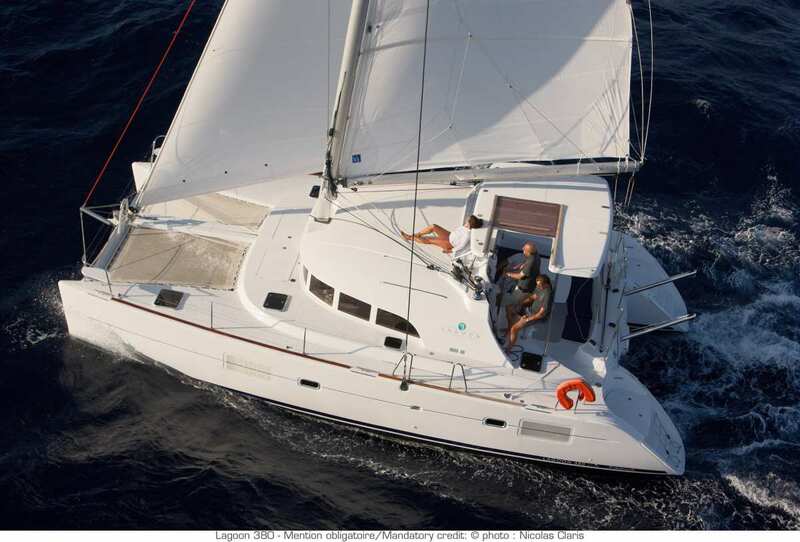 After spending 30 years in the world of the Press Bruno decided to go back to his first passion of yachting and sailing. Bruno had already been introduced to sailing at the tender age of eight and by the age of 10 Bruno joined the Marine Scouts in his home town of Marseille. He enjoyed nine years in the scouts and then joined local yacht clubs and participated in many sailing regattas. He has owned seven boats prior to HARMONY. Bruno has a Captain 200 ton license, STWC 95 French qualification. 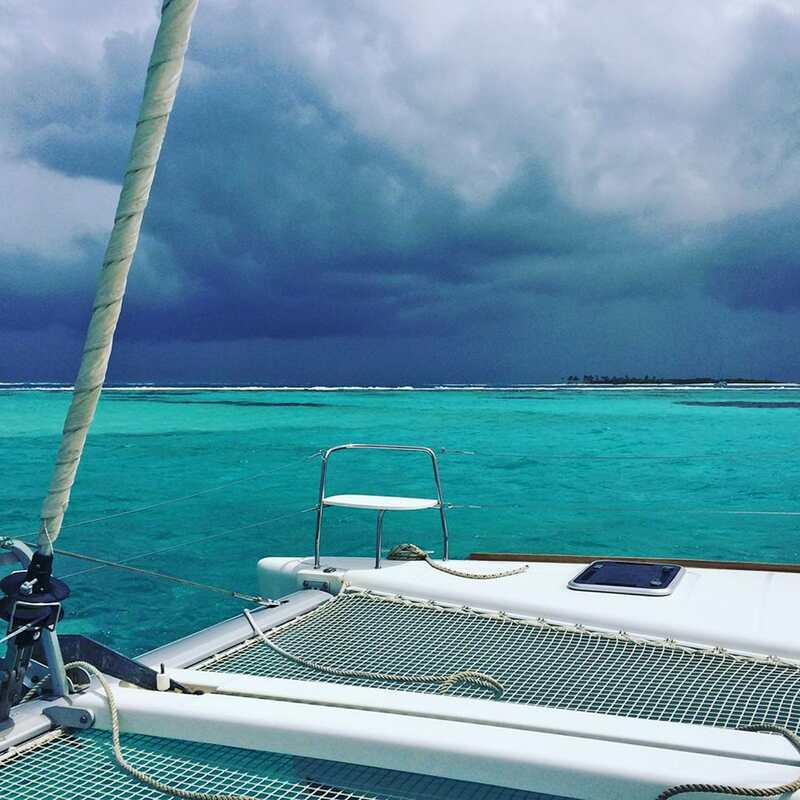 He has live and sailed throughout the Leeward and Windward Islands of the Caribbean. He includes five years as CEO of the French newspaper, France Antilles, among his accomplishments. 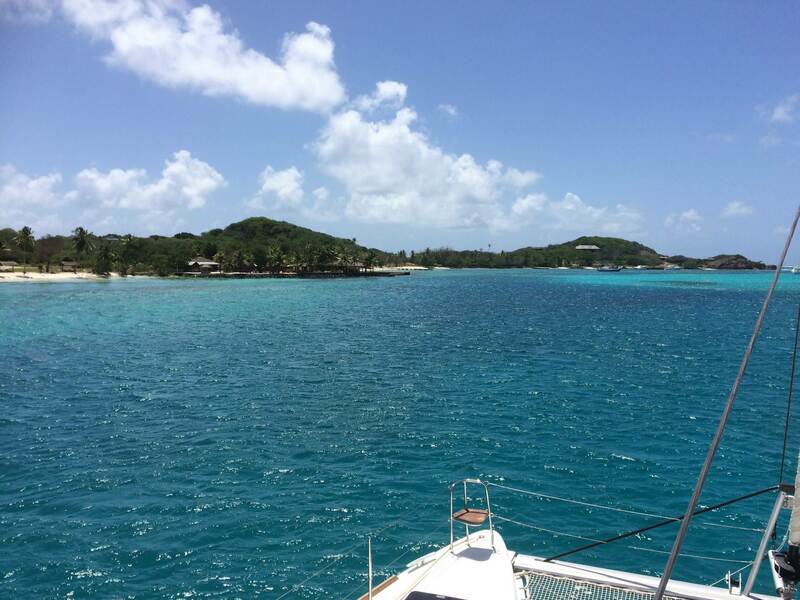 Bruno has sailed extensively throughout France, the Mediterranean Sea and the Caribbean from Grenada to Puerto Rico. 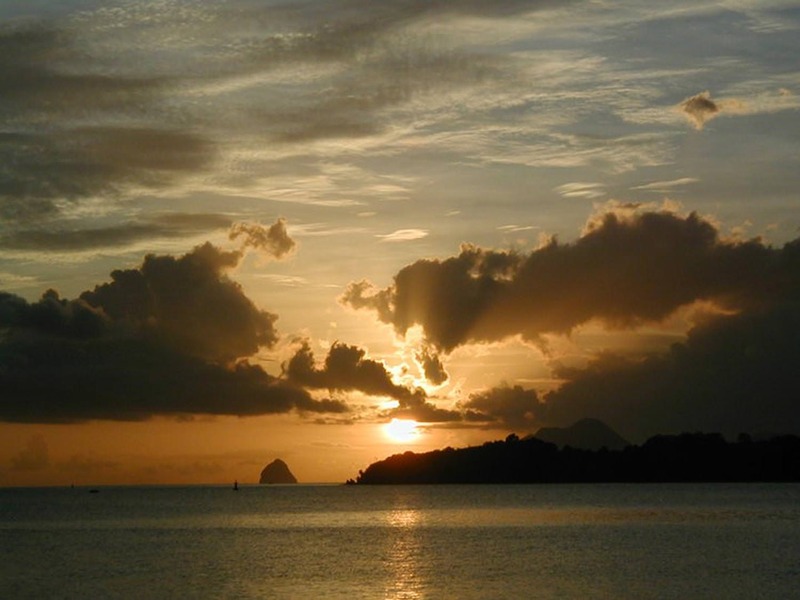 He enthusiastically shares with his guests the beauty of the different islands when on charter aboard HARMONY. Guests aboard Harmony are very fortunate to be treated to the cuisine prepared by a wonderfully talented French Chef, Didier Le Guellec. His skill set is quite unique. In addition to his galley skills, Didier holds the French equivalent of a Yachtmaster license. Didier hails from Brittany. He received his culinary diploma early on and launched his career which included a tour as Chef aboard the French Navy commanding vessel, chef/proprietor of his own restaurant in France, and chef for discriminating clients aboard luxury yachts in the Caribbean and Mediterranean. He is truly a seafood specialist, having fished offshore professionally in the North Atlantic. Another interesting facet to his background, Didier was a successful business owner, having managed his own international home-moving transportation company for 10 years. He speaks English, Spanish and German in addition to his native French. "The experience has been absolutely incredible. Thank you so much. You have both been an absolute delight and the sailing and food has gone above and beyond my expectations. I can only hope to have a similar experience again in my life."